Egg farmers, government inspectors and everyone involved in egg production want to keep the U.S. egg supply to be as safe as possible, since their friends and family eat the eggs they produce. 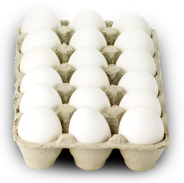 Egg farmers have a long history of promoting food safety with oversight from multiple government agencies. Shell eggs produced in the U.S.